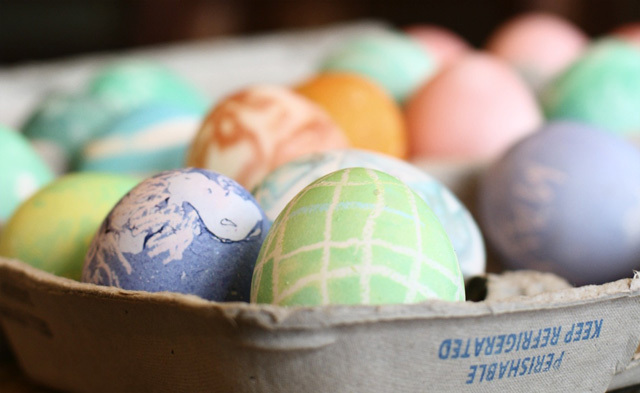 Why Do We Decorate Eggs for Easter? Eggs have been decorated for thousands of years. In fact, 60,000 year old ostrich eggs with engraved decorations have been found in Africa–(read more about that here). It seems that the Christian practice of decorating eggs began in Medieval Europe when eggs were forbidden during Lent. Thus, eggs laid during that time were boiled or preserved and then served at the Easter banquet. Eggs became a prized Easter treat. They symbolize The Resurrection and New Life. Some of my favorites include Faberge and Ukranian eggs. Does your family decorate eggs for Easter? Do you the Easter Bunny hide them? Do you eat the decorated eggs? 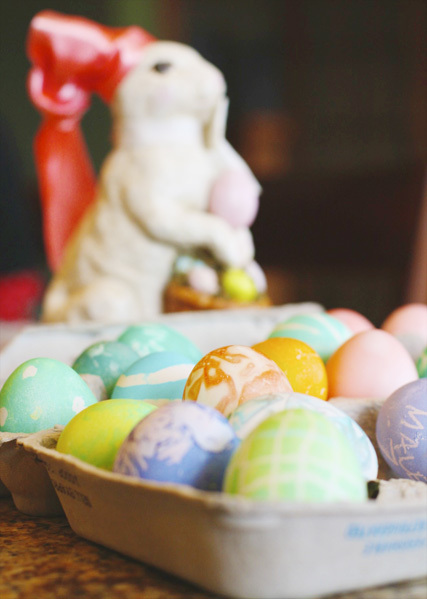 I’d love to hear your about your family’s Easter traditions! PS. We decorate and hide so many eggs for Easter that we usually can’t eat them all! I learned my lesson and only hide the plastic ones! We used to blow out the eggs and then decorate them. That way we can save them for the next year. We could also use the eggs(insides) a multitude of different ways and not waste them. As long as you find decorated eggs in your basket instead of an onion as one of my sisters did one year. I may have to write that story soon. Altered Books–A Great Place to Doodle!